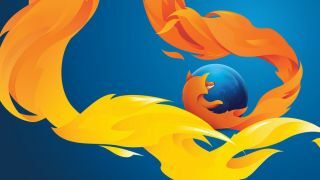 Firefox has an adult content filter that's designed to keep advertisers happy and spare your blushes if someone borrows your phone. When you open a new tab, Firefox presents a set of your most commonly visited sites, which it calls 'Top sites' and 'Highlights'. The browser won't display just anything though; as ZDNet reports, it checks the URLs against a list of NSFW sites, and discreetly prunes out anything illicit or unsavory. This isn't a new feature – it's been in development since 2014 – but it's only recently come to light thanks to eagle-eyed Reddit users. The filter will help you avoid embarrassment if anyone's peering over your shoulder, but its main purpose is to avoid any conflicts with advertisers who have paid for sponsored tiles in users' new tabs. "Commercial partners do not want their content to be negatively associated with adult content," said developer Kevin Ghim in the original bug report. "In the context of Suggested Tiles, this means no sponsored or affiliate tiles should appear within same browser viewport. As an example, MGM would not want a 007 DVD release to be appearing within the same page (in particular, directly next to) where PirateBay tile appears." Should you wish to deactivate the filter for any reason (if a legitimate site is being blocked, for example), you can do so by entering about:config in the address bar and setting browser.newtabpage.activity-stream.filterAdult to false.